Bolo Ball like; raise your balloons as high as you can! 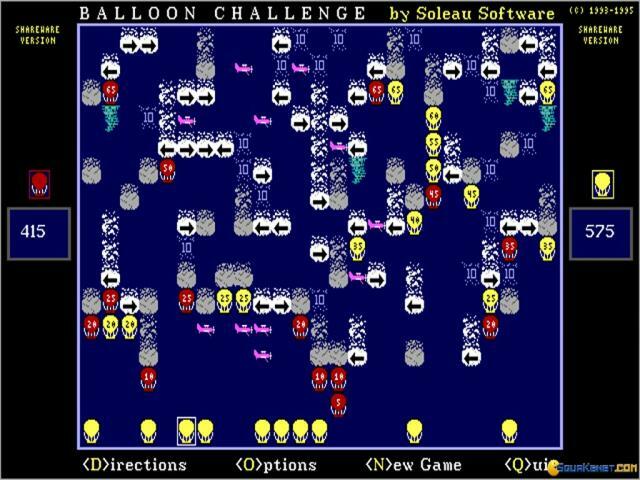 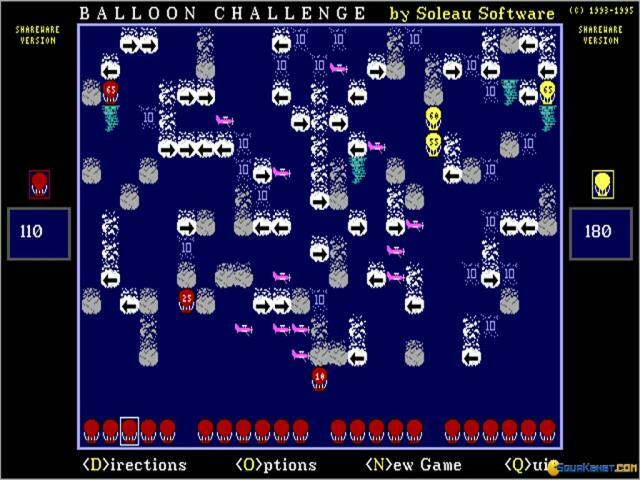 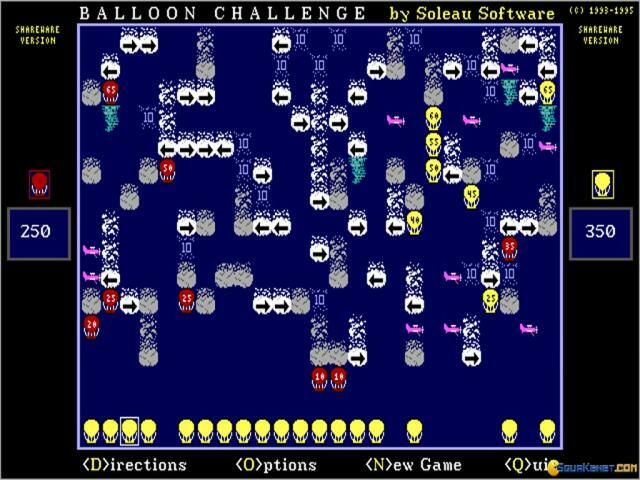 The challenge of this puzzler is to raise you balloons as high as you can. 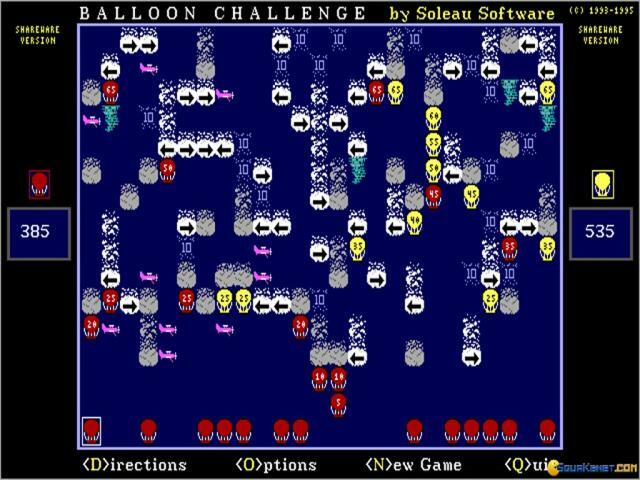 You get to do that by choosing which balloon to launch, and in then, which one should be the next. 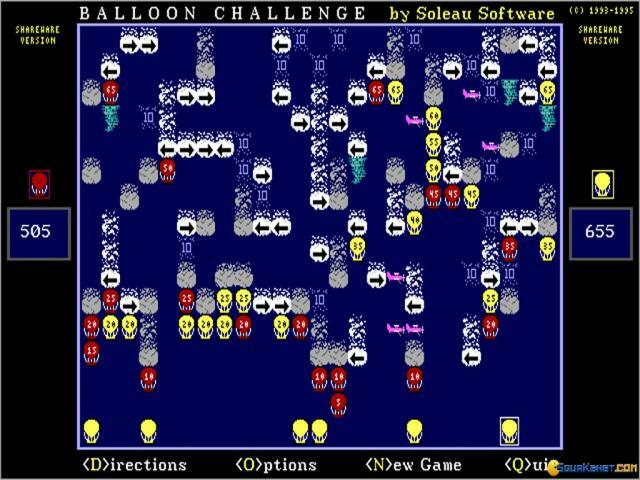 The balloons run without interference until they reach a checkpoint, where they can be deviated, have their trajectories altered, or simply stop advancing. 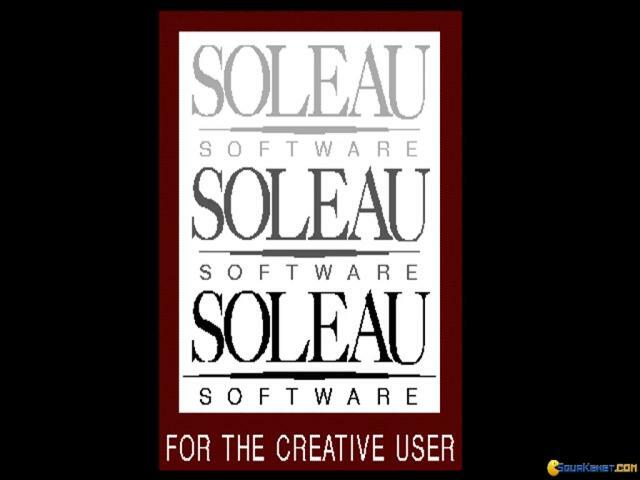 You take turns against the PC or another player in hot seat mode, and so, you'll soon learn that thinking strategically and taking advantage of the placement of signs on the map is very important. 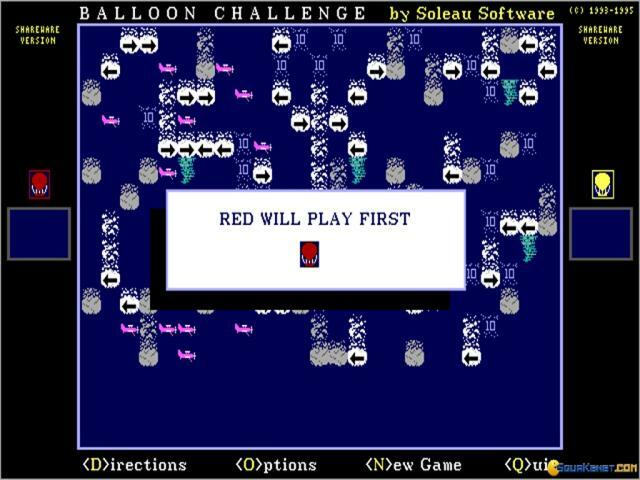 The unfortunate bit is that the game looks not that enticing. 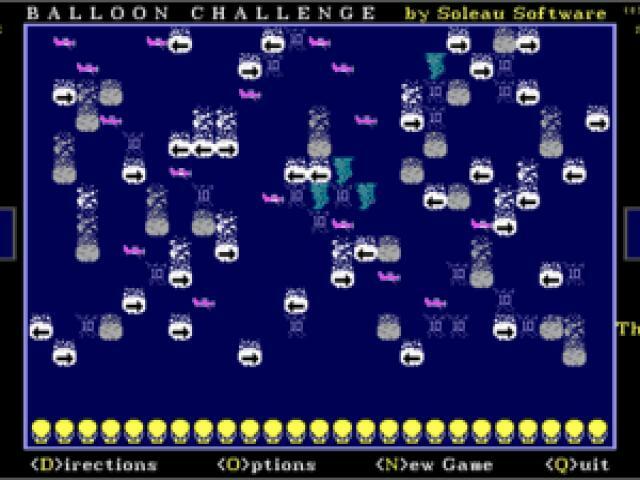 It works, for what it is, but then again, it's not as fun as Bolo Ball. 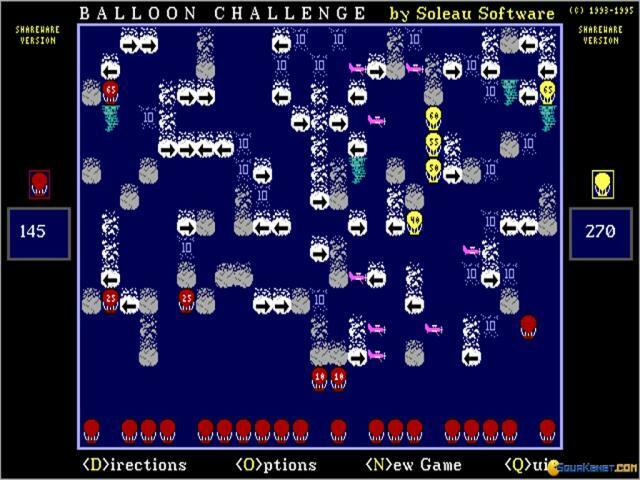 So, you'll play it only until you have gotten enough of its strategy and placement of balloons, or, if you can play it in short bursts, it will probably survive longer on your hard drive. Nope, it's not a very long lived game from this point of view, and it also can take a while for the strategies it uses to make sense to you, and through that point of view, the game is just not that well made. 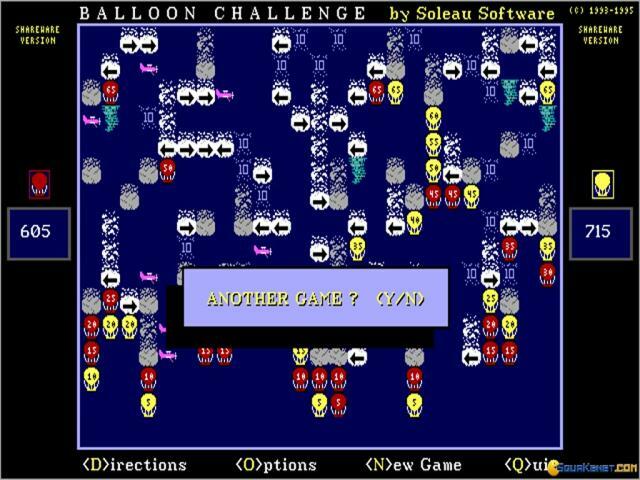 So, yeah, keep to Bolo Ball, much better produced from all points of view.